Watch: Why do humans have two nostrils? Humans have two eyes because the few inches of space between them allow us to sense depth and perceive the world in three dimensions. Humans have two ears because the difference in time between a sound reaching one ear over the other allows us to localize the source of the noise. But why do humans have two nostrils? YouTube science series "VSauce" has the answer. Not to spoil the video, but the short answer is two nostrils provide a better sense of smell than just one. Studies have found that one nostril will generally operate better than the other on any given day. 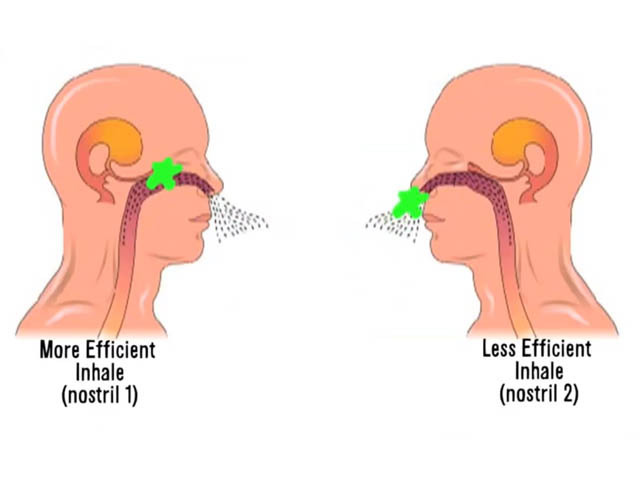 Thus, two nostrils provide a better ability to detect scents than one. From there, VSauce host Michael Stevens moves on to perhaps a more interesting question: what does outer space smell like? Short answer: don't try it (space is a vacuum, you would die), but kind of like bacon. If you have never heard of VSauce before, you must not be one of the 1,350,000 subscribers the long-running YouTube channel has amassed since 2007. But if this clever and educational video piqued your interest, check out more videos HERE.